Documentarians Ken Burns and Geoffrey C. Ward explore the lives and achievements of an American political dynasty. When evaluating municipal impacts of federal programs, no president has had more lasting influence than Franklin D. Roosevelt. 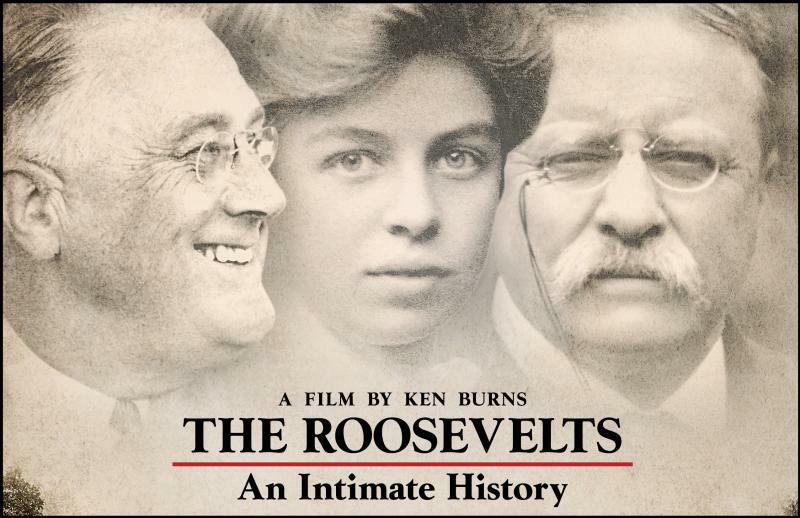 This fall, award-winning documentarians Ken Burns (director) and Geoffrey C. Ward (writer) will premiere their newest project, “The Roosevelts: An Intimate History,” on PBS. The seven-part, 14-hour film weaves the stories of Theodore, Franklin, and Eleanor, and will air Sept. 14 – 20 at 8 p.m.
Ward recently spoke with Managing Editor Erin Greer about the project. Here is his account of the contributions of Theodore, Franklin, and Eleanor, and how those contributions continue today. Greer: What was it about this political dynasty that caught your attention? Why does this story need to be told? And why now? Ward: Theodore, Franklin and Eleanor Roosevelt have all been the subjects of documentaries before but no one has ever tried to present them together on-screen, as a family. This really is an intimate history. Seen close-up, for all their seeming difference from the rest of us – their riches, their fame, their historical importance – I think viewers will quickly find that the Roosevelts seem familiar. They dealt with great public questions still present in our own lives: What is the role of government? What can a citizen expect of that government? What are the qualities of lasting leadership? What is the correct balance between principle and pragmatism? But more than that, as individuals, they wrestled in their personal lives with issues familiar to everyone everywhere: betrayal and forgiveness, grief and self-doubt, courage and cowardice, loyalty to family and the need to be one’s own self. All three were wounded people who overcame pain and loss and fear to leave us an extraordinary legacy of hope. Each is fascinating in his or her own right, but they all believed in the great power of government to do good – an idea sadly out of fashion these days. 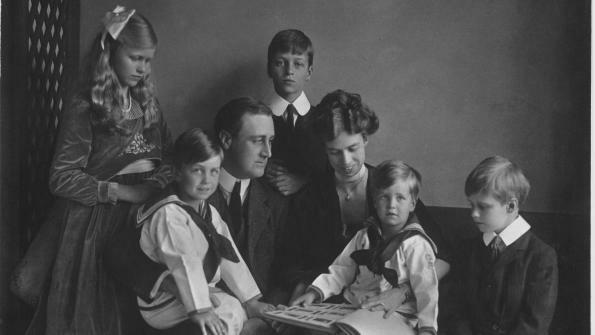 Greer: The Roosevelts are among the best known of political families – what did you discover in your research that could or should outshine the traditional go-tos of “Big Stick” Diplomacy and New Deal legislation? Ward: The series shows that without the great example of Theodore Roosevelt, neither Franklin nor Eleanor Roosevelt would ever have become the historical figures we know. My own grandfather, who was born in 1884, was always proud that his first presidential vote was cast for Theodore Roosevelt; to him FDR was a pale imitation. My father was no less proud that he’d first voted for FDR; he thought TR had been a shrill, perennial adolescent. Anyone who watches our series will understand how wrong they both were. Greer: Your approach to researching/writing this film – does it mirror approaches to previous documentaries? Any unexpected surprises? Ward: It was different for me because I’ve written three books about FDR. My job this time was not to try to master a new topic but to work with Ken and our colleagues to tell on-screen a complicated, profoundly human story with which I was already familiar. The surprises were mostly visual – fresh images and never-before-seen footage that bring our subjects to life. Greer: New Deal legislation – which programs had the largest impact on local economies at the time? Today? Ward: Ours is an intimate history of the Roosevelts themselves, but clearly New Deal programs affected local economies all over the country. The 200 million trees planted in the mammoth “Shelterbelt” saved farm communities from the Dakotas to the Panhandle. New Deal programs guaranteed people’s savings, financed new businesses, rescued millions of families from foreclosure, encouraged the construction industry and vastly improved America’s infrastructure by building or rebuilding enough roads and highways to pave the continent from coast to coast more than 200 times. When FDR took office in 1933, only one out of 10 American farmers had electricity; by 1940, thanks largely to New Deal programs, four out of ten were electrified. The building of the Grand Coulee and Bonneville dams alone transformed the economy of the Pacific Northwest. Three million CCC (Civilian Conservation Corps) boys sent money home each week so that their families could spend it in their local stores and so on. The New Deal alone may not have ended the Great Depression, but it immeasurably improved the lives of many Americans and the landscape of the United States. Greer: Like Teddy, FDR served New York state before progressing to a national leadership role. To what degree and how did his experiences dealing with state and local governments help shape the New Deal? Ward: FDR first learned his politics in the rough-and-tumble world of the New York state legislature. When Roosevelt ran for president in 1932, the sheer force of his optimism was his strongest suit. His grin alone made people feel better. But it was his record as governor that won him the Democratic nomination that year. He had been the first governor in the country to set up a state agency – the Temporary Relief Administration – that provided public relief for those unable to help themselves – “not as a matter of charity,” he said, “but as a matter of social duty.” That basic belief would animate the New Deal. Greer: President Obama’s response to the most recent recession – is it in any way reminiscent of FDR’s handling? Ward: When FDR took the oath of office in 1933, the whole country demanded action – almost any action. At least for a time, legislators from both parties eagerly approved whatever he proposed. In part because of the New Deal’s successes, that has never happened since. Greer: With the emergence of the Tea Party and the push against big government and programs like the Affordable Care Act, do you think the USA would, could and/or should have another president like FDR? Why or why not? Ward: As Theodore Roosevelt sadly concluded, true presidential greatness can only be displayed in times of genuine crisis – and he was unhappy that he had never been confronted with one. We face grave problems at home and abroad today, but they don’t yet compare to the twin crises FDR faced – the Great Depression and the Second World War. For that, we should be grateful. Greer: With the cooperation of news media, FDR was able to hide his disability from the public. Given the evolution of media and medium, do you think such a feat could be accomplished today? Ward: Sadly, I don’t believe that in our media-intrusive age, anyone as physically challenged as Franklin Roosevelt was could ever be elected president today. FDR had to be carried in and out of buildings, could not stand unaided, was unable to take a single step without help. Today’s photographers and film crews would compete to see who could show him at his most physically helpless. Now, as then, pity is political poison. Greer: To Ken Burns – “National Parks: America’s Best Idea” – did the 2013 government shutdown prove, among other things, the importance of National Parks to local economies? (The Department of the Interior claimed that national parks and their surrounding communities lost nearly a half-billion dollars in revenue and more than 7 million visitors during the shutdown). Burns: Parks are recognized as dynamos of local economies, and they have often been embraced by the very people who originally opposed them because of that. When they are shut – for any reason – that has a huge impact on those economies. Greer: Teddy’s run with the Bull Moose Party is the closest a third party candidate has ever come to winning the US presidency. With polls in recent years showing as high as 40 percent of the electorate claiming to be “Independents,” do you think the USA is trending toward a third party system? Ward: The problem is that independents are just that – independent, hard to herd. Effective political action demands efficient organization. TR found that out in 1912, and I think it remains the most serious challenge for any potential third-party effort. Enthusiasm is not enough. Greer: To what degree are Teddy’s beliefs echoed in FDR’s initiatives? (i.e. Are Teddy’s stances on conservation echoed in FDR’s initiatives for national parks? What about his stances on minimum wage laws? On establishing a federal income tax and social insurance for the elderly, unemployed and disabled?) Do those platforms show up in politics today? Ward: The New Deal was, in many ways, the Progressive Party platform made real… I do know that all three Roosevelts believed that national problems demanded national solutions, that government, at its best, is what Theodore Roosevelt first said it was – “Us, you and me.” I’m also pretty sure all three would have been pleased by passage of the Affordable Care Act. TR first promised federal health care in 1912, after all, and would only have been surprised that it took so long. Greer: The evolution of the role of First Lady – how has it changed? To what degree did Eleanor’s example set the stage for First Ladies today? Ward: Just as every president since FDR has been measured against the Roosevelt record, Eleanor Roosevelt’s example has haunted every subsequent first lady. Most have thought it best to avoid comparison by sticking close to home, and when they tried to take on controversial topics, as Hillary Clinton did with health care, they’ve often been forced to withdraw. Eleanor Roosevelt is remembered with warmth and nostalgia today, but I hope those who see the film will understand the often savage opposition she faced during her dozen years in the White House – and the courage with which she faced it down. Greer: Eleanor fought for civil liberties and also championed women in the workplace. To what degree did her advocacy contribute to women’s rights? The Civil Rights Movement? Ward: Eleanor Roosevelt devoted her enormous Rooseveltian energy to a host of causes. Her support for all of them was invaluable. Perhaps what she meant to African Americans is best expressed in a story told in the series by her great friend, the late Dorothy Height. A desperately poor black woman is said to have written a letter to FDR asking for help — and warning him that if the president could do nothing for her, she would have to write to Mrs. Roosevelt. Greer: Given her stances on civil rights and her later role with the UN Commission on Human Rights, what were Eleanor’s feelings about the US internment of the Japanese (Executive Order 9066)? How was this reflected in the future she built for herself in politics/the UN? Ward: Eleanor Roosevelt accepted internment as a necessary evil at first but quickly saw that she’d been wrong and began pressuring her husband to close the camps and allow the internees to return to civilian life.